We are lucky enough to have some great coastline near where we stay on the Black Isle of Scotland. 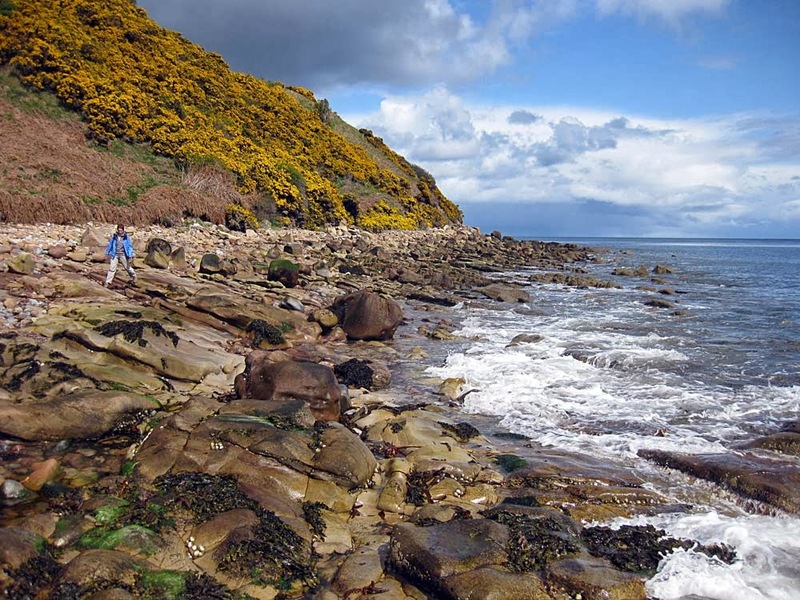 There is a mix of coastal cliffs, beaches with some nice towns such as Cromarty and Fortrose. We have some oil rigs parked here as well and cruise liners come into the Cromarty Firth at Invergordon. This summer we have had some kayak trips around the Scottish coast. Scotland provides great opportunities for scenery and adventures with kayaks. The photos give an example from the north eastern coastline near Buckie. We were out yesterday on our local coast from Rosiemarkie to Cromarty on a 21 mile walk. This is a very sheltered area and tends to receive better weather than the mainland to the west.Lots to see including sea birds, geology of the great glen fault, fossils and footprints from the elusive otters around here. The terrain is varied too from sand, rock hopping, some cross-country, single track, single lane road and jeep track. We can’t train for the temperatures of the Hayduke though, we had a cool 3-6 C yesterday, we are expecting temps up to 35 C out in the Grand Canyon! Here’s a quote from Edward Abbey, the Hayduke Trail is named after a character from his fictional book ‘the Monkey Wrench Gang’ – well worth a read! 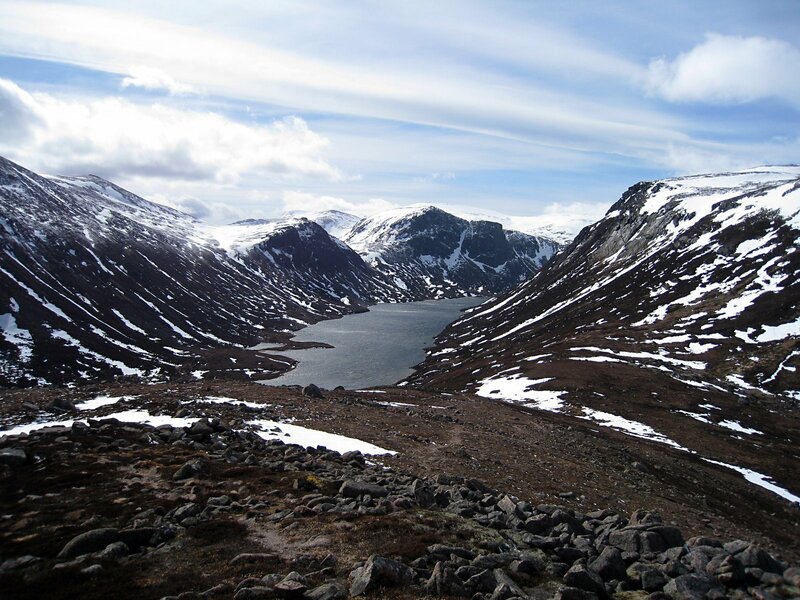 Martina is away helping with lambing at a friends farm, and brian was out in the cairngorms in in lovely spring conditions but screaming winds! 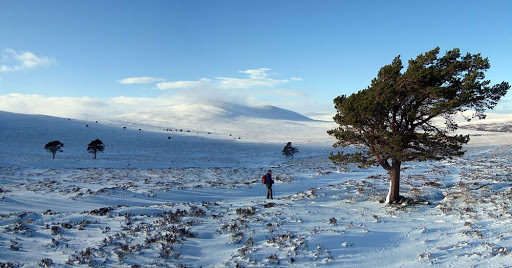 In January, we did a loop walk in the central Scottish Highlands from Slochd summit up the Dulnain river , then over the Burma road and back north over the hills to the Slochd. we had some great open views across snowy terrain. 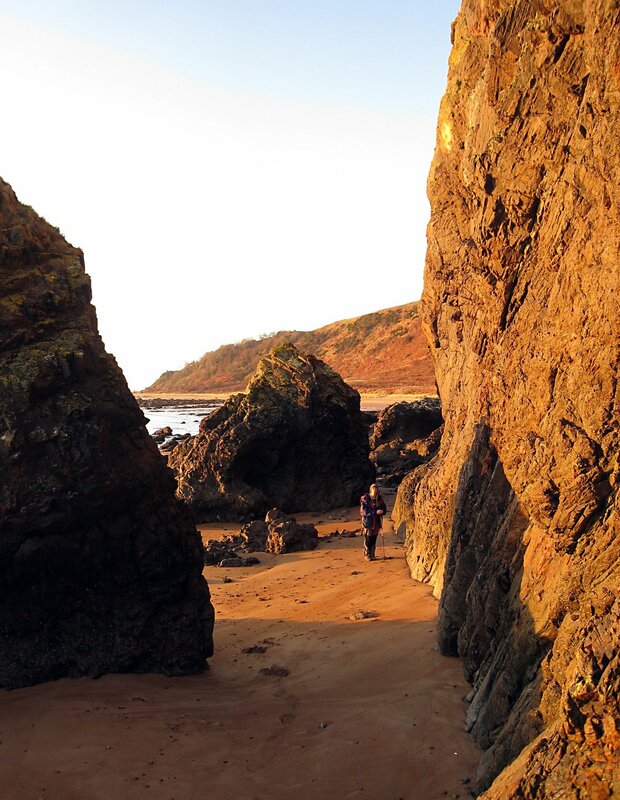 Walking the Black Isle Coast….. In January and February we walked near our home from Fortrose to Cromarty along the coast and back via the forest tracks a few times. The distance is about 18 miles and the coastal scenery is excellent.